This fully revised second edition of Swedish: An Essential grammar incorporates the changes proposed to the Swedish grammar by Svenska Akademiens Grammatik. All examples have been fully updated, the bibliography has been expanded and a number of tables clarified. 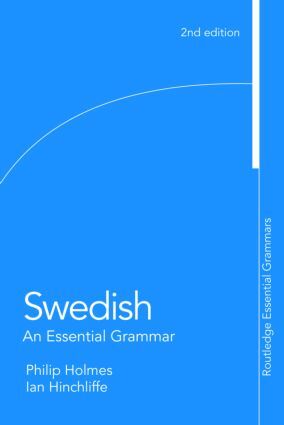 Swedish: An Essential grammar provides a fresh and accessible description of the language. It is suitable for independent study or for class-based students. The explanations are free of jargon and emphasis has been placed in the areas of Swedish that pose a particular challenge for English-speaking learners.